VeriSign Trust Services, now part of Symantec Corp. (NASDAQ: SYMC), provides solutions that allow companies and consumers to engage in trusted communications and commerce online. With more than one million web servers using VeriSign SSL certificates. 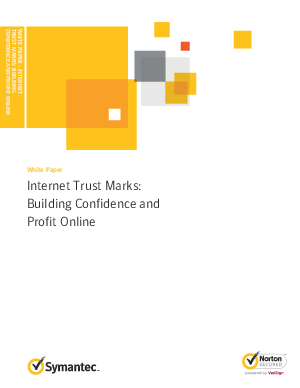 far and away the world's most recognized Internet trust mark - it is seen in more places, by more people, with a higher recognition level of its value than any other trust mark.